You can also look at the NCI list for current research protocols, or perform your own literature search to see current research papers on the treatment of this cancer. Studies suggest that that preoperative chemotherapy may improve survival (go here) if the patient has a resection, then postOp chemoradiation may be beneficial (see studies below and here and here). 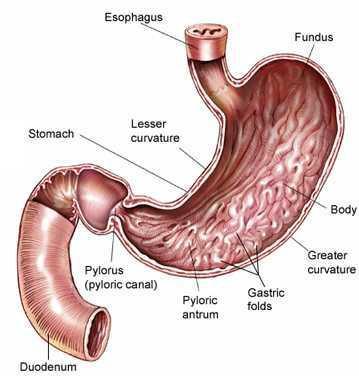 Cancer of the distal half of the stomach has been decreasing in the United States since the 1930s. However, in the last 2 decades, the incidence of cancer of the cardia and gastroesophageal junction has been rapidly rising. The incidence of this cancer in patients especially under 40 years of age has increased dramatically. In localized distal gastric cancer, more than 50% of the patients can be cured. However, early stage disease accounts for only 10% to 20% of all cases diagnosed in the United States. The remaining patients present with metastatic disease in either regional or distant sites. The overall survival rate in these patients at 5 years ranges from almost no survival for patients with disseminated disease to almost 50% survival for patients with localized distal gastric cancers confined to resectable regional disease. Even with apparent localized disease, the 5-year survival rate of patients with proximal gastric cancer is only 10% to 15%. Although the treatment of patients with disseminated gastric cancer may result in palliation of symptoms and some prolongation of survival, long remissions are uncommon. Radical surgery represents the standard form of therapy having curative intent. Lesser surgical procedures may also play an important role in palliative therapy for patients with gastric cancer. Neoadjuvant or postoperative chemotherapy and/or radiation therapy are under clinical evaluation. 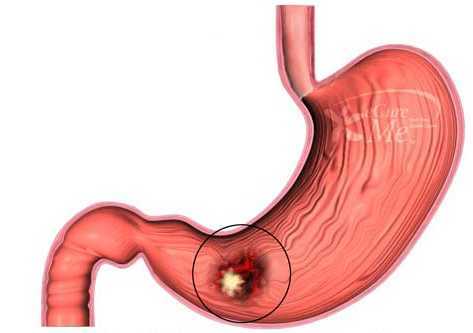 Acknowledged risk factors for gastric cancer include: Helicobacter pylori gastric infection, older age, male gender, diet including dry salted foods, atrophic gastritis, pernicious anemia, cigarette smoking, Menetrier's disease, and familial polyposis. There is only a small role for radiation in this disease, but sometimes radiation/chemotherapy are used after surgery for more advanced cases: Neoadjuvant or postoperative chemotherapy and/or radiation therapy are under clinical evaluation. Adjuvant postoperative 5-fluorouracil-based chemotherapy following curative resection for localized gastric cancer demonstrated no survival benefit in a meta-analysis of randomized trials published since 1980. Few studies have evaluated postoperative or neoadjuvant radiation without chemotherapy. from the British Stomach Cancer Group failed to demonstrate a survival benefit for postoperative adjuvant radiation, although loco-regional failures were decreased from 27% to 10%. In a trial from China, 370 patients with stage II, III, or IV adenocarcinoma of the gastric cardia were randomized to receive 40 Gy of external-beam radiation followed by radical surgery or radical surgery alone. There was a significant survival advantage at 5 and 10 years for the patients who received radiation and surgery over the patients who received surgery alone. However, preoperative radiation therapy had no effect on the rate of distant metastases. Adjuvant external-beam radiation therapy with combined chemotherapy is currently being evaluated in the United States. Results of irradiation or chemoirradiation following resection of gastric adenocarcinoma. Division of Radiation Oncology, Mayo Clinic and Mayo Foundation, Rochester, MN 55901, USA. The records of 63 patients who underwent resection for stomach cancer were retrospectively reviewed. Twenty-five patients had complete resection with no residual disease but with high-risk factors for relapse. Twenty-eight had microscopic residual and 10 had gross residual disease. Doses of irradiation ranged from 39.6 to 59.4 Gy with a median dose of 50.4 Gy in 1.8 Gy fractions. Fifty-three of the 63 (84%) patients received 5-fluorouracil (5-FU)-based chemotherapy. RESULTS: The median duration of survival was 19.3 months for patients with no residual disease, 16.7 months for those with microscopic residual disease, and 9.2 months for those with gross residual disease (p = 0.01). The amount of residual disease also significantly impacted locoregional control (p = 0.04). Patients with linitis plastica did significantly worse in terms of survival, locoregional control, and distant control than those without linitis plastica. The use of 4 or more irradiation fields was associated with a significant decrease in the rate of Grade 4 or 5 toxicity when compared to the patients treated with 2 fields (p = 0.05). CONCLUSIONS: There was a significant association between survival and extent of residual disease after resection as well as the presence of linitis plastica. Distant failures are common and effective systemic therapy will be necessary to improve outcome. The toxicity of combined modality treatment appears to be reduced by using greater than 2 irradiation fields. Results of irradiation or chemoirradiation for primary unresectable, locally recurrent, or grossly incomplete resection of gastric adenocarcinoma. Division of Radiation Oncology, Mayo Clinic and Mayo Foundation, Rochester, MN 55905, USA. OBJECTIVE: To evaluate the results of irradiation +/- chemotherapy for patients with unresectable gastric carcinoma. MATERIALS AND METHODS: The records of 60 patients with a gastric or gastroesophageal junction adenocarcinoma and a locally advanced unresectable primary (n = 28), a local or regional recurrence (n = 21), or gross residual disease following incomplete resection (n = 11) were retrospectively reviewed. Patients were treated with external beam irradiation (EBRT) alone or external beam plus intraoperative irradiation (IOERT), and 55 of the 60 (92%) patients received 5-FU based chemotherapy. RESULTS: The median survival for the entire cohort was 11.6 months. There was no significant difference in median survival between each of the three treatment groups. In examining the extent of disease there was a significant difference in survival based on the number of sites involved. Nine patients with disease limited to a single non-nodal site appeared to represent a favorable subgroup compared to the rest of the patients (median survival of 21.8 months vs. 10.2 months,p = 0.03). In the patients with recurrent disease, the number of sites involved (p = 0.05), and total dose adding external beam dose to IOERT dose (> 54 Gy vs. < or =54 Gy, p = 0.06) were of borderline significance in regard to survival. CONCLUSIONS: In patients with either primary unresectable, locally or regionally recurrent, or incompletely resected gastric carcinoma, the overall survival is similar, and related to the extent of disease based on the number of regional sites involved. The patients with a single non-nodal site of disease represent a favorable subgroup and patients with recurrent disease may benefit from total irradiation doses > 54 Gy. Radiotherapy of gastric cancer with a three field combination: feasibility, tolerance, and survival. Service de Radiotherapie, Hopital Saint-Andre, Centre Hospitalo-Universitaire de Bordeaux, France. From 1980 to 1984, forty-five patients suffering gastric cancer were irradiated with curative intent. Twenty-three were considered at high risk of recurrence after complete surgical resection (invasion of the serosa, lymph nodes and/or surgical margins); eleven were treated after partial resection, and for eleven others, the local extension precluded surgery. Radiotherapy combined two lateral fields (usually with wedge filters) and an anterior field. The planned dose was 40 to 50 Gy, according to the amount of residual disease and doses delivered to the major part of the liver and the right and left kidneys did not exceed 30, 5, and 18 Gy, respectively. For patients aged less than 71 and whose general condition was acceptable, one cycle of chemotherapy (FAM for 20 patients and 5-FU for 10) preceded irradiation, followed if possible by 6 other cycles. For the overall series, the 4-year survival rate is 23%. This technique appears feasible with an acceptable tolerance and can control local tumor in a few cases. The planned dose of 40 Gy was probably too small and we are now testing 45 Gy delivered over the large initial volume, and boosts of 10-15 Gy to residual disease. Multidisciplinary approach to esophageal and gastric cancer. Despite marked advances in surgical therapy for patients with esophageal, esophagogastric, and gastric cancers, the overall prognosis of these patients has not markedly improved during the past decades. Multidisciplinary approaches using adjuvant postoperative and neoadjuvant preoperative therapeutic principles have received increasing attention with regard to the management of these patients. A series of randomized, prospective trials has demonstrated that adjuvant postoperative radiation or chemotherapy does not result in a convincing survival advantage after complete tumor resection in esophageal, esophagogastric junction, or gastric cancer. The available data on the role of neoadjuvant preoperative therapy are not yet conclusive. Although neoadjuvant therapy may reduce the tumor mass in many patients, several randomized, controlled trials have shown that, compared with primary resection, a multimodal approach does not result in a survival benefit in patients with locoregional, that is, potentially resectable, tumors. In contrast, in patients with locally advanced tumors, that is, patients in whom complete tumor removal with primary surgery seems unlikely, neoadjuvant therapy increases the likelihood of complete tumor resection on subsequent surgery, but only patients with objective histopathologic response to preoperative therapy seem to benefit from this approach. Consequently, in the future, improvements in the overall survival of patients with esophageal, esophagogastric junction, or gastric cancer most likely will be achieved only by tailored therapeutic strategies that are based on the individual tumor location, tumor stage, and consideration of established prognostic factors. A clear classification of the underlying tumor entity, a profound knowledge of the prognostic factors applicable, a thorough preoperative staging, and identification of parameters that allow for the prediction of response to preoperative therapy will become essential for the selection of the optimal therapeutic modality for individual patients. 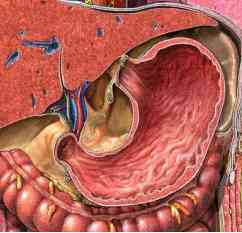 Adjuvant and neoadjuvant therapy for gastric cancer. Gastrointestinal Oncology Service, Memorial Sloan-Kettering Cancer Center, New York 10021, USA. In the United States and in Europe, curative resections are possible in only 50% to 60% of newly diagnosed gastric cancer patients chosen to undergo surgery. For patients with higher stage tumors (T3-N(any)M0, T34N(any)M0, stages II, IIIa or IIIb), even after resection of all gross disease with negative margins, the recurrence risk is high. In the absence of earlier diagnosis, there is a clear need to develop new innovative treatment strategies that will increase the potentially curative resection rate and decrease the risk of recurrence after operation. The major treatment strategy pursued during the last 20 to 30 years has been postoperative systemic therapy with or without associated regional radiation. In general, using the systemic treatment regimens available in the past, no major decrease in recurrence rate has been shown. The use of routine postoperative systemic chemotherapy remains unproven. Several new approaches are currently undergoing intense study, in addition to chemoradiation. One involves the use of preoperative (neoadjuvant) systemic chemotherapy. The goal of these treatment plans is to allow an early attack on systemic micrometastatic disease, and by downstaging the primary tumor to increase the percentage of patients able to undergo curative resection. Phase 11 studies performed to date indicate acceptable toxicity to multidrug regimens including cisplatin-fluorouracil, variants of the 5-fluorouracil, doxorubicin, high-dose methotrexate (FAMTX) regimen, or other cisplatin-containing combinations. No increase in operative morbidity or mortality has been found. Large-scale trials using neoadjuvant therapy are in the advanced planning stage. A second approach (used with or without neoadjuvant therapy) is treatment with intraperitoneal adjuvant chemotherapy given in the immediate postoperative period. This strategy is based on the failure pattern of resected gastric cancer with its high rate of peritoneal and hepatic metastasis. In addition to phase II trials, several small-scale phase III studies have been completed. Although those which involve patients with known residual disease have, in general, been negative, studies in patients who were treated in the truly adjuvant setting (having undergone potentially curative resections with no residual disease) are more promising. Finally, chemoimmunotherapy has been extensively studied in trials in Japan and Korea. Thus, from the point of view of clinical practice, routine administration of intravenous postoperative chemotherapy has not yet shown clear evidence of benefit and the standard of care remains surgery alone. The most promising current approaches are neoadjuvant chemotherapy using newer combination regimens with or without postoperative intraperitoneal therapy, chemoimmunotherapy after surgery, and postoperative chemoradiation. National or international trials testing the hypothesis that these types of approaches are superior to expectant observation have a high priority. A large American intergroup trial is underway testing the concept of postoperative adjuvant chemoradiation. Additional trials involving preoperative and postoperative therapy are in the advanced planning stage.